BuzBooks is one of the world’s leading book cover design companies. We specialise in creating high quality, bespoke book cover design for authors. We are a passionate team of creative professionals, producing vibrant and exciting book cover designs. In over 15 years we have designed and developed 1000’s of covers worldwide for self publishers and the publishing industry alike. Buzbooks is a division of the award winning multimedia agency, Fresh01. This also means we have access to wide team of technologists, content creators, graphic designers, videographers, social media experts and project managers. As a preferred supplier to some of the world’s largest publishers, we’ve designed thousands of books across multiple genres, giving us the experience and skills every author needs for a great book cover design. 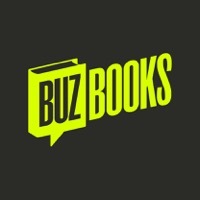 Get in touch at https://buzbooks.com/, we can’t wait to hear from you.